Follow me on Facebook by "liking" my author page. Stay up to date with my writing career by clicking the link below! 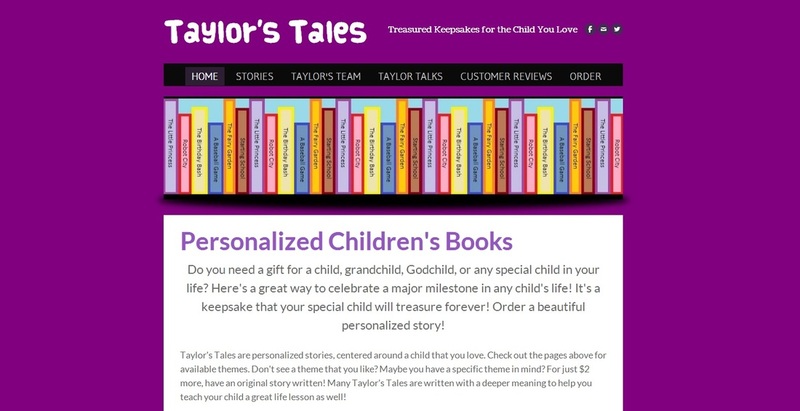 Learn more about Taylor's Tales by visiting the website today! Choose from a personalized children's book from themes available on the site, or have a custom story written especially for what you need. Get a treasured keepsake for the child you love by following the link at the right! Interested in reading some of my works? Read a few of my short stories & poems by following the link to the right! Sign up for a free Wattpad account to leave reviews & create a library of works to read!